Born on Ormlie Farm, Elizabeth Macdonald (née MacIntosh) reminisces about her happy childhood, schooldays, friendships and the fate of her pet hen. Elizabeth distinctly recalls her father conversing with a neighbour, over the boundary fence, talking about something big coming to Caithness. They were indeed talking about the construction of the Dounreay Nuclear Power Station. She talks about new pupils arriving in school, almost on a daily basis, as people came to work at Dounreay and settle in Thurso. Making friends with a new pupil at school has resulted in a life-long friendship. As the owner of Elizabeth’s shop in Thurso, she maps out the history of her business and how her interest in sewing was kindled at an early age. Having spent time as a local councillor, Elizabeth reflects upon the constraints of funding within Local Government. She also talks about the happy times spent in the Congregational Church, Thurso, now the United Reformed Church, enjoying the love and fellowship of parties, picnics and plays. 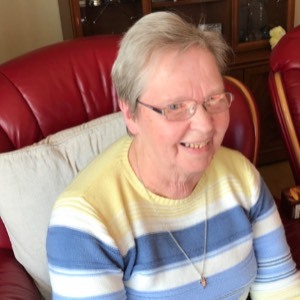 She continues to work tirelessly for the church and its part in the Thurso community.